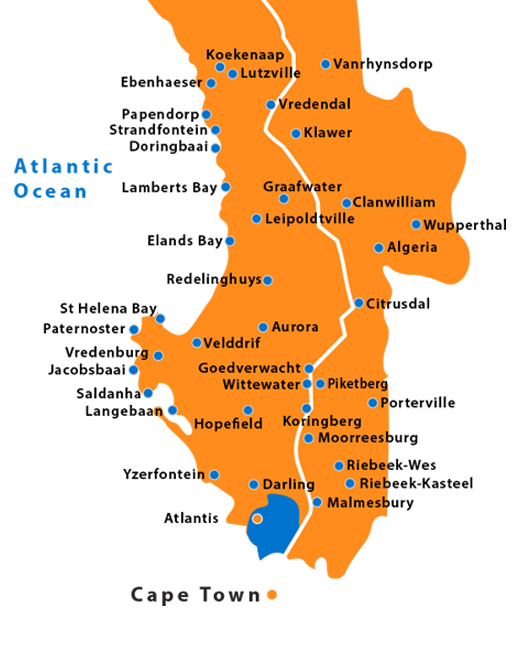 Atlantis was developed on the farms known as Melkpost, Hartebeeskraal and Witzand. The town is located slightly inland from the beach on the R27 route northwards towards Langebaan. The community centre in Atlantis is where visitors will find the Atlantis Arts and Crafts. The arts and crafts project is part of a broader social development project in Atlantis. Nearby is The Camphill Village – a working community farm that produces herbs, vegetables and nursery plants. Atlantis Athletico was established in January 2002. They run a rehabilitation programme for all children involved in delinquent behaviour. Their youth are part of Atlantis Youth Development Forum (AYDEF), which is a local Government Initiative. Discipline and integrity are the guideline for all players and they are also affiliated to SAFA Cape Town. Most of the children come from severe and underdeveloped socio-economic circumstances. Their lives are exposed to criminal activities and violence that surrounds them daily. Problems like school drop-outs, drug and alcohol abuse, teenage pregnancies and the breakdown of parent and child relationships are on the increase in Atlantis. To counter these problems the club provides them with an alternative to develop their social life skills through playing soccer. They currently have two under seventeen teams. They won the League Cup in 2007. They are the only team to win the cup nine times over a period of ten years. They’ve also advanced to the last 8 out of 258 teams of the u/17 Coke Tournament which was played in the Western Cape. They were invited to play in the Cape Fish Tournament in Mitchell`s Plain, where they reached the 5th last. 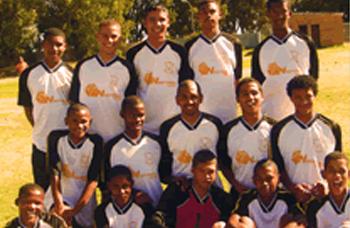 WCCF provided the funding to purchase soccer outfits and equipment for the different teams.